Defiance is a lot of fun. It has a great system for playing with friends, and even if no one is online, you're still able to interact and fight with plenty of other players as this is a game with MMO features. As of right now, the game allows you to play as the Irathient aliens and human ark hunters, but more classes are promised down the line as DLC. The game as technical issues that hold it back in a few places, but it has been one of the funnest games I've played this year so far. On paper, this game seems doomed: An online shooter for each major platform that coincides with a new TV show airing on Syfy where both can influence the events of the other. So far, both seem to be doing well. Each time you load up the game, you'll have to see if there are any new patches, and then you're good to go. Menus seems to work well, and pressing back or start will allow you to bring up the game's menu and cycle through the many options the game contains. It could use improvement, but it does its job since you'll need to access the menu more constantly when wanting to apply new upgrades and upgrading your inventory. 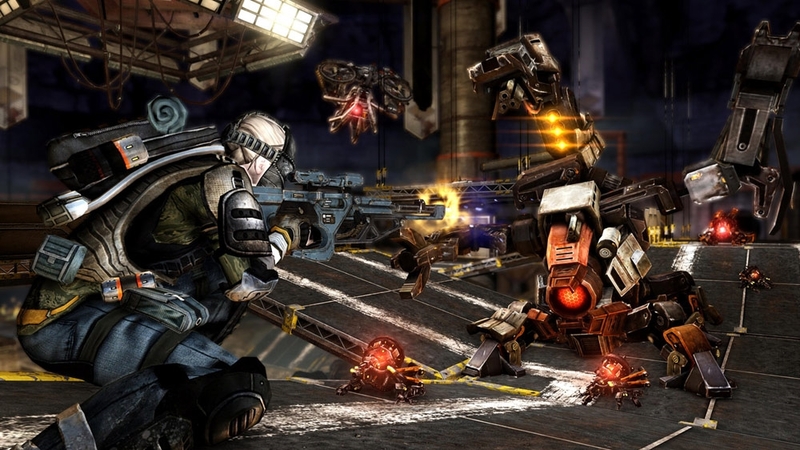 The main gameplay elements seems very close to that of Borderlands, so you'll find things easy to get into. There is a main story arc with plenty of missions to complete, and you'll sometimes have to complete a set of side-missions before more story related missions become available. Aside from story and side-missions, there are challenges around the world to complete, which can help you gain scrips, the game's main currency. These challenges have leaderboards as well, so you can see how you stack up against other ark hunters. When you're doing missions and you spot other players nearby, chances are they are completing the same mission. When this happens, you'll both see the same enemies and objectives, and be able to help one another out without the need to officially group up. Once the mission is done, you can either group and work together, but most times players I encounter will hope on their vehicle and drive toward their next goal. 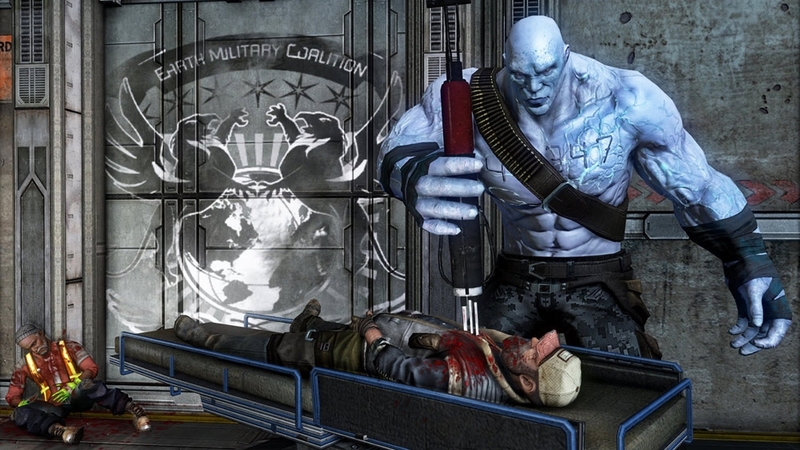 If you feel a little competitive itch while playing Defiance, you can use the menu to launch into some team deathmatch or engage in ground war, an objective-based 10 v 10 mode which takes place in a nice chunk of the game's explorable world. Both modes allow you to earn experience, and you're also allowed to use the weapons and abilities found in the main game. 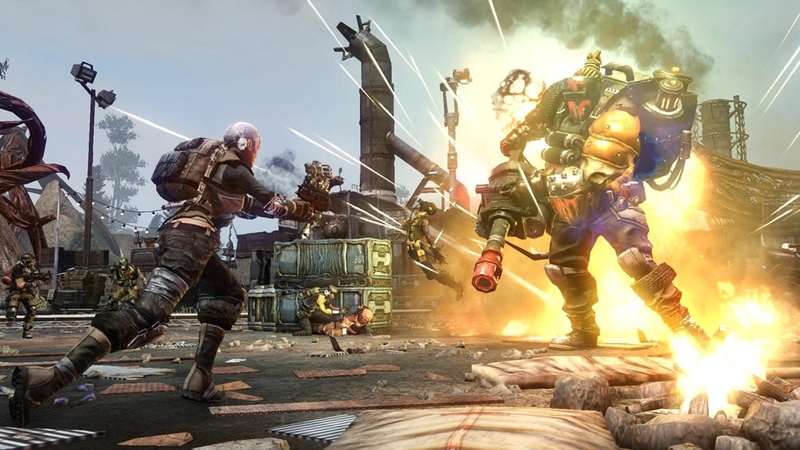 Co-op play is available as well, and comes in the form of completing story and side-missions together, playing the co-op modes from the menu which support four players, or working together with players currently in your world to complete arkfalls, dynamic timed missions that involve destroying ark crystals as you take on various enemies of scale and power. 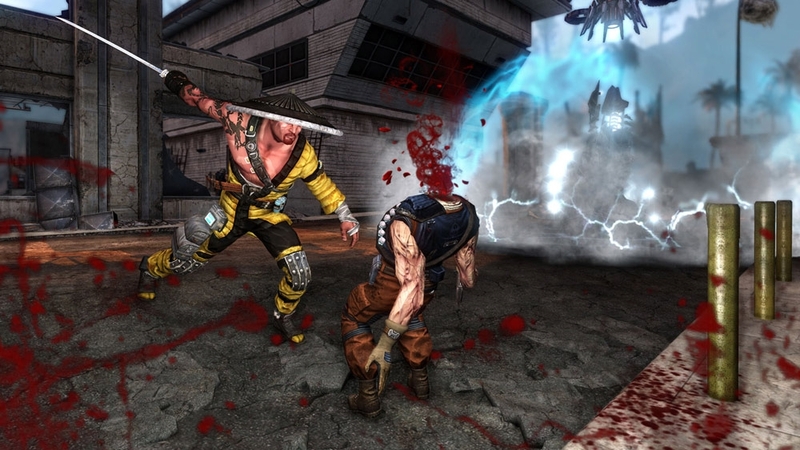 These occur at different times all over the map, and you'll usually find plenty of people aiding against the enemies to gain more scrip and experience for their characters. Presentation-wise, things are fine for Defiance. The overall visuals do a nice job of showing you the world that is more expanded in the TV show, but I have had plenty of occurring issues with the game's audio which would take things out of sync during moments in the game's story cut scenes. There isn't any really lagging issues I found, which is important considering this is an online only title. Visual hiccups are peppered through the game, but there have been a few patches that have addressed some of these. With MMOs and online-focused games, things will usually get better over time, so much of these issues are to be expected. 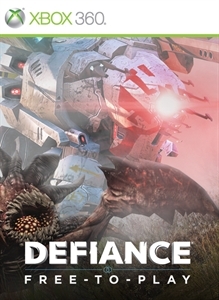 Defiance is surprisingly fun, and with no need for an monthly fee or subscription, once you buy the game, you can play at your own pace to get the most out of it. So grab some friends, watch the show, and then hop online to collect some scrip! "Arktech. Some die for it – everyone kills for it. 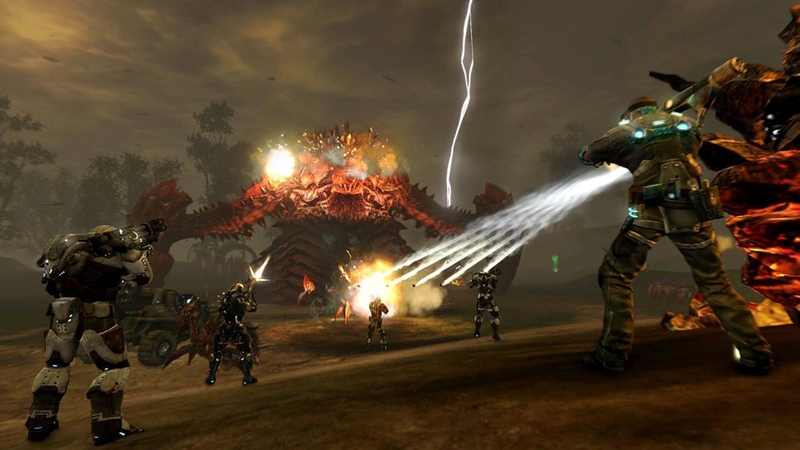 Join a futuristic online open-world shooter where thousands of players scour a transformed Earth competing for alien technology. Hunt alone or with others as you improve your skills and level up unlocking powerful weapons that will help you survive the massive battles that await."